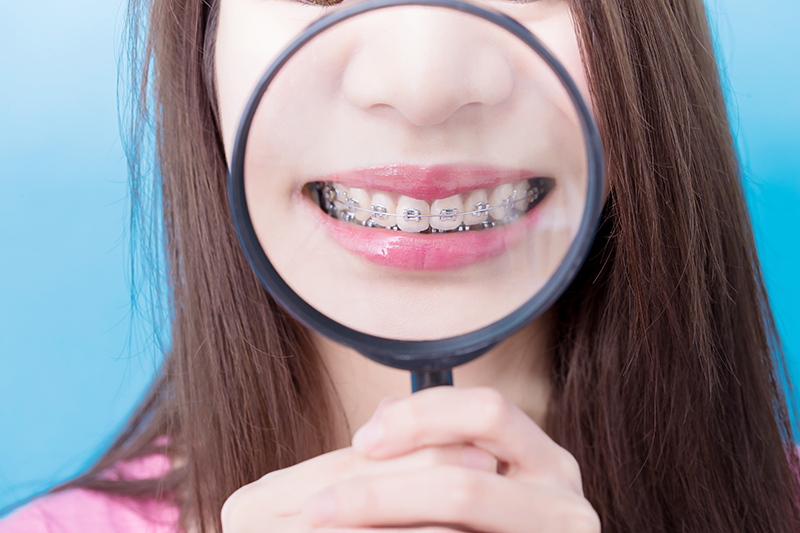 Traditional braces, a combination of brackets and wires, have moved into the 21st century. Metal brackets are smaller and less conspicuous; tooth-colored brackets blend with the color of teeth. Patients benefit from the use of NASA-developed technology: advanced “space-age” wires with built-in memory. The wires, which actually move the teeth under the orthodontist’s supervision, deliver a light, continuous pressure. When they reach mouth temperature, the wires become active and “remember” their original shape. As the wires attempt to return to that shape, they gently guide the teeth into their correct positions. When compared to materials used as recently as a decade ago, today’s high-tech materials can result in fewer and less frequent appointments, so patients require less time away from school or work, and the treatment time may be shorter. According to the American Association of Orthodontists (AAO), more than 5 million people in the U.S. and Canada are receiving care from AAO members, dental specialists who graduated from dental school and completed a minimum of two to three years of university-based training in an accredited orthodontic residency program. More than 1 million of these orthodontic patients are adults. Many are in their 40s, 50s and beyond. Teeth tend to drift as people mature. Even those who were born with perfectly placed teeth can experience these unwanted changes. Many consult an orthodontist to rejuvenate their smile and get a healthy bite. Between 1994 and 2004, the number of adult patients grew by 37 percent. An estimated 63 percent of adult patients are women. But some things never change. Orthodontic patients need to follow their orthodontist’s instructions regarding elastic wear and good oral hygiene. Avoiding foods that are too hard, sticky, crunchy or chewy is also key. Such foods can damage braces, which may lengthen time spent in braces. Additionally, orthodontic patients need to see their dentist at least every six months for checkups and professional cleanings. Following these recommendations helps patients complete their treatment on time and with desired results.